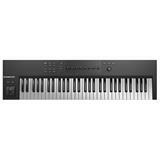 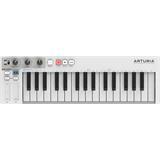 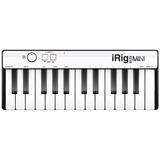 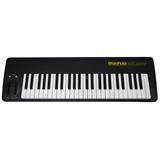 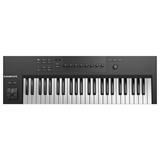 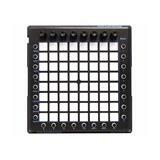 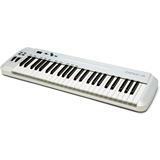 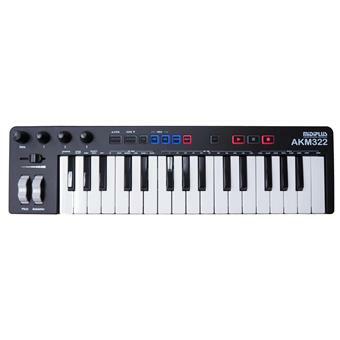 The Midiplus AKM322 is an extensive MIDI keyboard with 32 mini-keys that provide speed sensitivity. 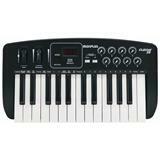 As a producer you can go all the way with a pitch and modulation wheel, octave buttons and buttons to transpose. 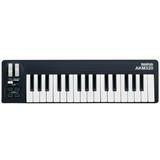 But it does not stop there, there is also a tap tempo, arpeggiator, chord mode and a button to change the velocity. 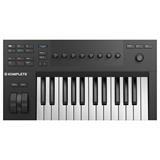 It functions on USB power and has a built-in interface, so you can directly pin it in on your laptop and use it with your DAW. 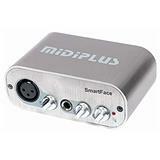 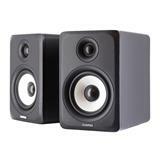 The play, record and stop buttons ensure an easy and fast recording process. 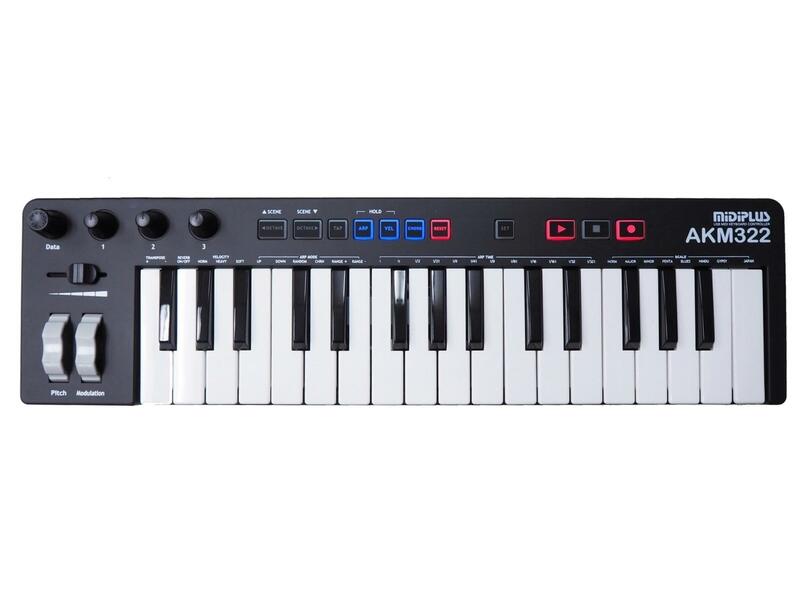 It has an input for an external sustain pedal at the rear.